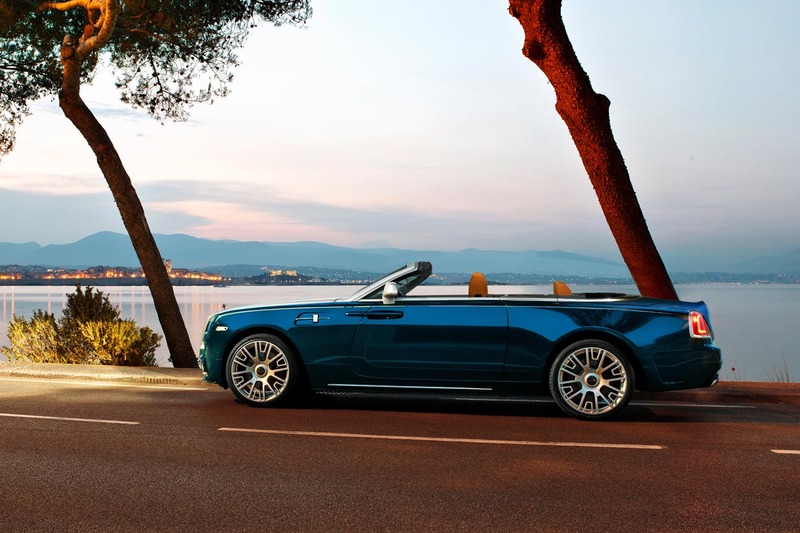 The youngest kid on the Rolls-Royce block is the Dawn Convertible and German tuner Mansory has begun work on the luxurious open top. Up front you’ll notice a new spoiler with larger air intakes and LED daytime running lights. Integrating subtle carbon fiber bits and pieces here and there also help give the massive Dawn a bit of a sportier appearance. 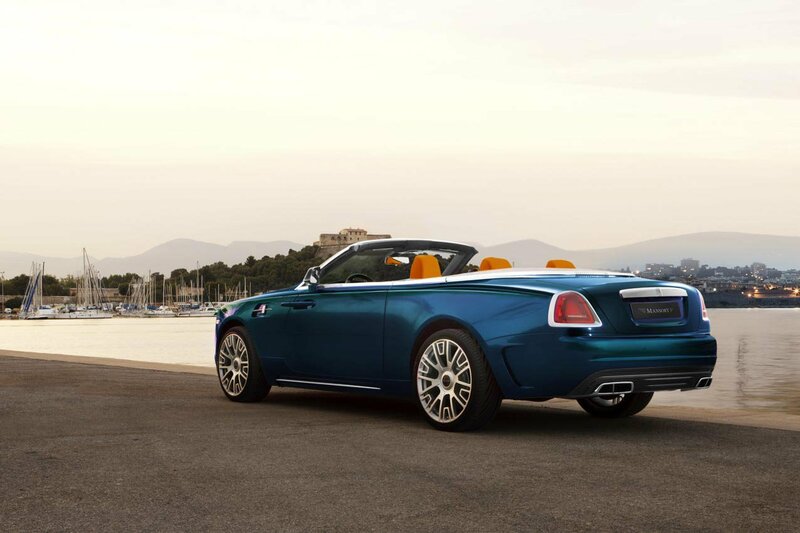 Side skirts are now sculpted to offer a sleek look while the lip spoiler on the trunk reminds us of a sporty track car than a luxurious convertible. The stock Dawn has a 6.6-liter V12 twin-turbo engine under the bonnet that makes 563 HP and 585 lb-ft of torque. 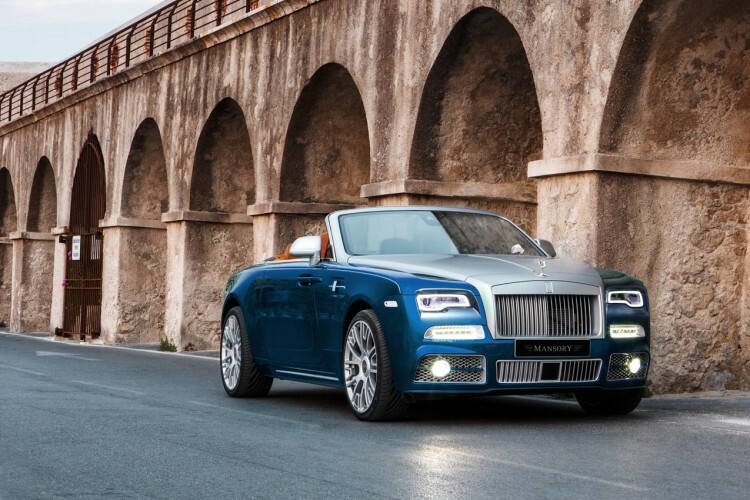 However, thanks to the Mansory kit, it’s now making no less than 740 HP and 738 lb-ft of torque, allowing the Rolls to reach 62 mph from a standstill in just 4.5 seconds. Top speed also went up to 177 mph. Inside the cabin you’ll be greeted by brushed aluminum, carbon fiber, burl wood and many other luxurious materials. Whether one is interested to tune-up their Rolls is another discussion for another day, but for now, let’s enjoy the beautiful images.